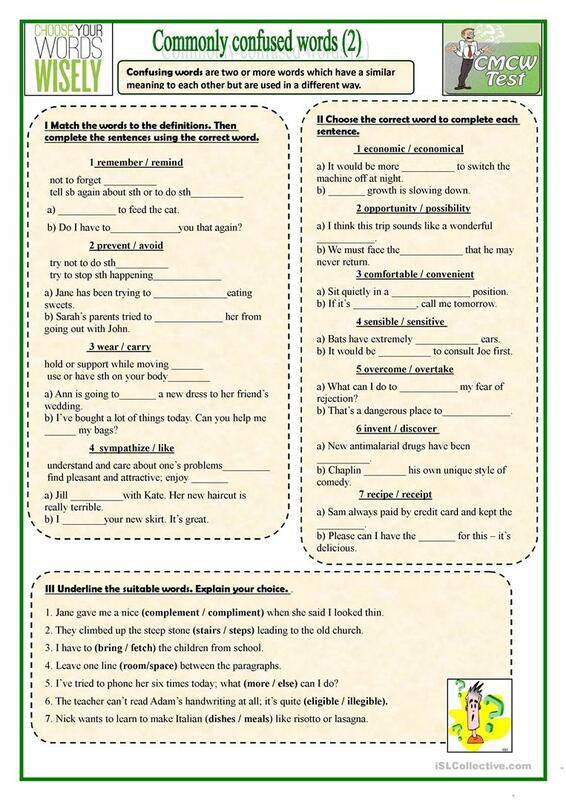 This worksheet contains three exercises dealing with confusing words. This is the second part of the set. Key is provided. Hope you find it useful in your own classrooms. 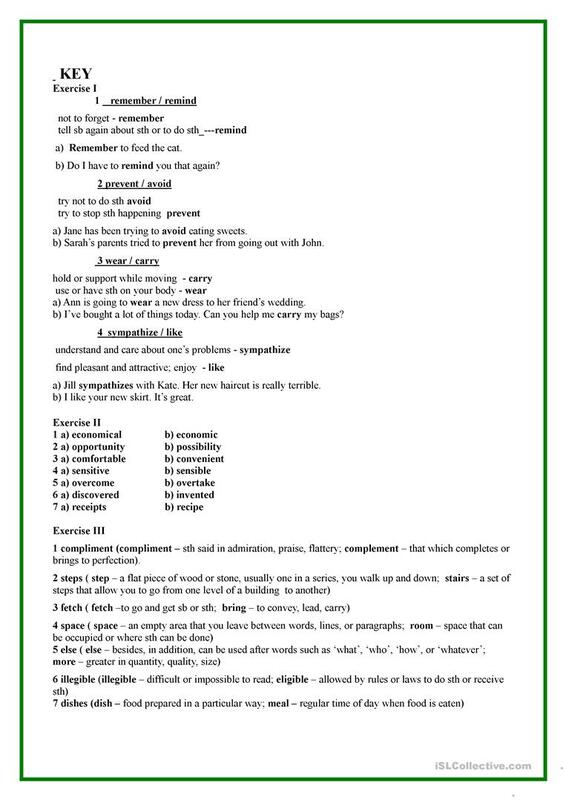 This downloadable printable is a great resource for business/professional students, high school students and adults at Pre-intermediate (A2), Intermediate (B1), Upper-intermediate (B2) and Advanced (C1) level. It is a valuable material for improving your students' Spelling, Reading and Writing skills. It focuses on the vocabulary topic of Words easily confused. It includes the answer key, too.